Jitish Kallat is an Indian artist who works in varied media and is based in Mumbai. 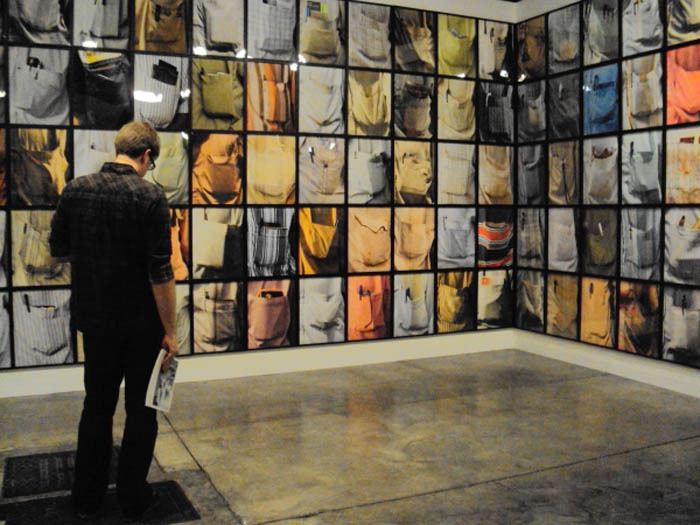 His installation The Cry of the Gland, made up of large photographs focusing on male shirt pockets and their content, is in essence a sociological study of modern India. 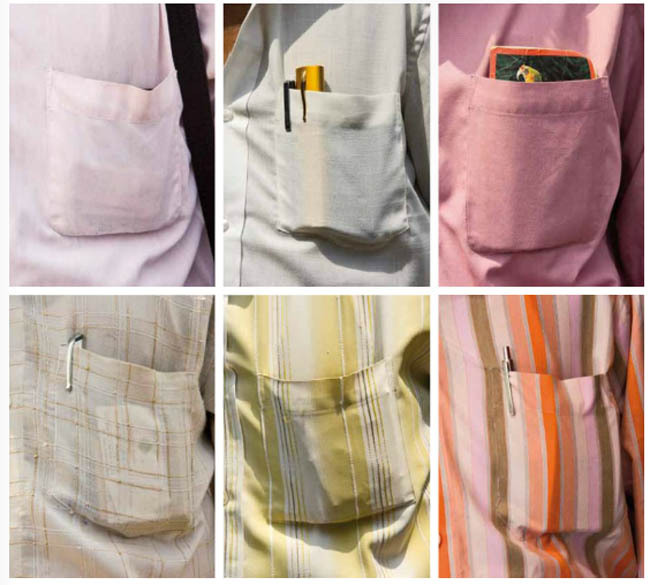 Interesting to see the range of colorful Madras and cotton shirts, fabrics typically exported from India, some pressed and clean, others worn and torn, but all depicting a middle class. There’s an overwhelming quality to the floor-to-ceiling installation that seems to reflect the massive population of over one billion, as well. There’s poetry in such simple things in our everyday lives… Jitish’s eloquence is remarkable! It seems to say we are all different and yet we keep our secrets in the same place… close to our hearts!